Business operations are comprised of different aspects in order to properly manage the whole enterprise. It is a difficult task to be an operations manager, so they say. Your job is not only to supervise a group of working people but to also tap on the internal and external factors. 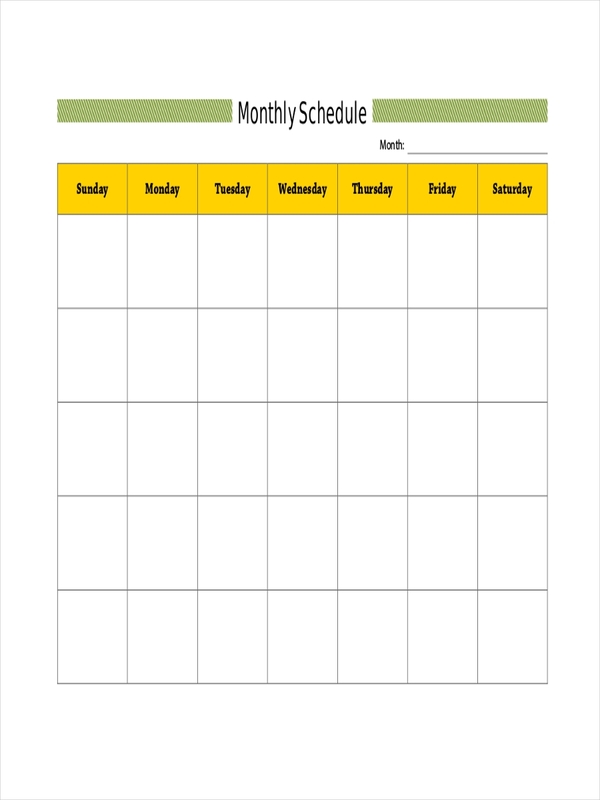 As a part of your job, you need to schedule all employees’ tasks and responsibilities. You have to make sure that you assign the right people to do the task. Failure to do so could impair the whole operations. You also need to consider making a sample schedule suitable for every employee. What Is an Employee Schedule? An employee schedule is a list of the tasks and responsibilities of every employee at a given period of time. It consists of the names of the employees, their work schedule, and the job descriptions. 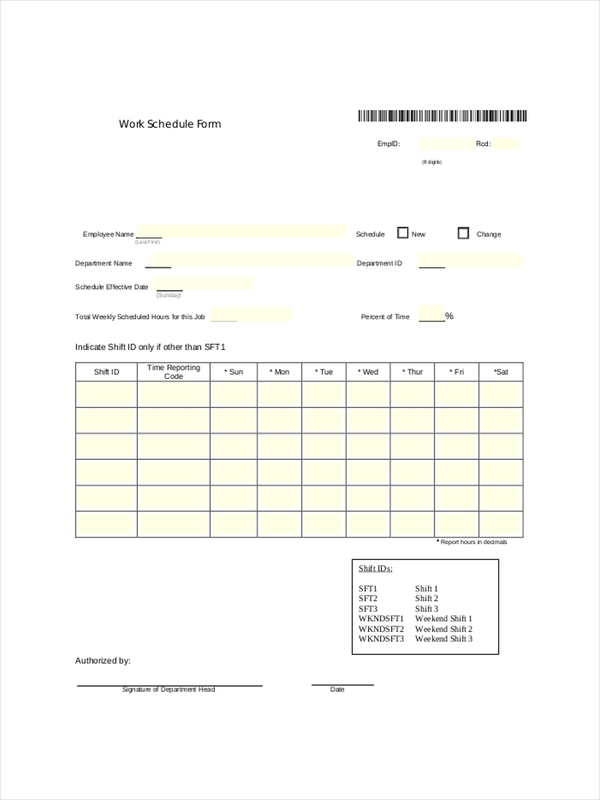 At certain cases when the job position is too complex, an employee schedule is formatted in a way that each task is indicated together with the time and date that it needs to be finished. An employee schedule could vary from a training schedule to job immersion. It could also be set with a timetable, either weekly, monthly, or quarterly depending on the intricacy of the task at hand. To create an employee schedule, you need to be familiar with the branch or department that you will be working with. 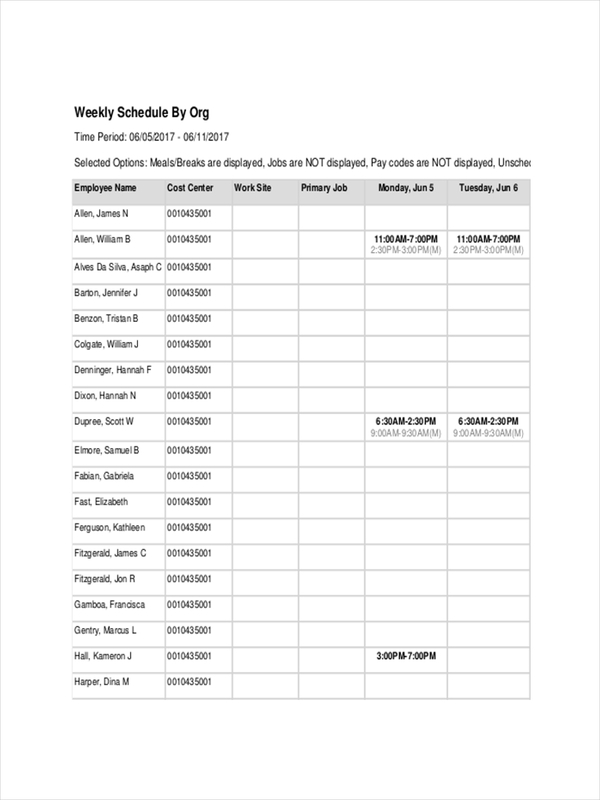 Once familiarized, follow these simple steps to create your own employee schedule. Write the business name or department. 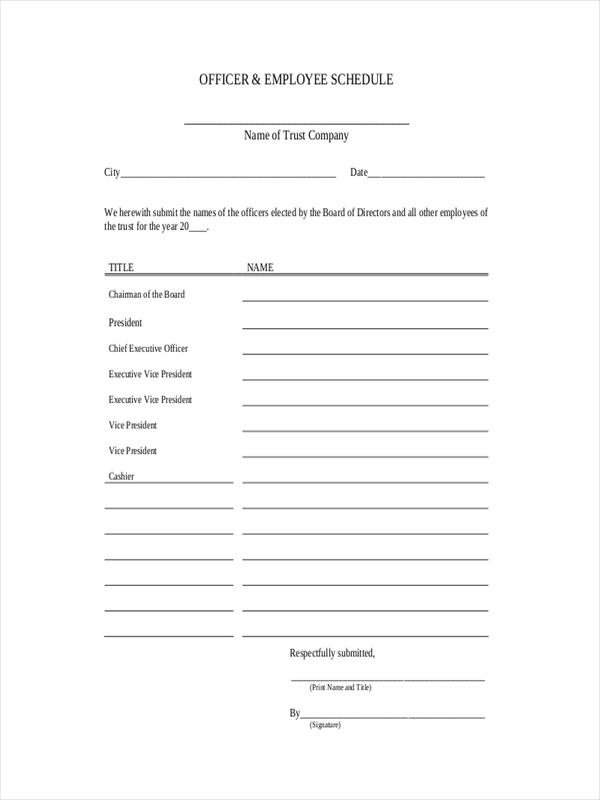 It is always important to use your business name or the department where the employee will be working as the letterhead. Include the date and the title. If you are creating a schedule for one employee, state the position and the effective date. Indicate time & days. At least make a graph to make it more professional. 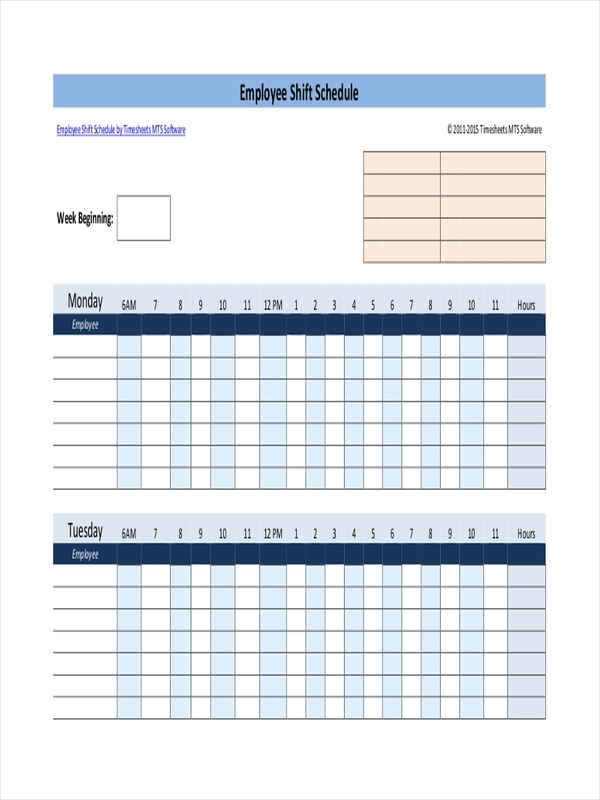 Write the days and time that the employee should be working. An important skill in operation business management is the ability to assign tasks to each employee without hampering their welfare as well as maintaining the company’s objectives. An employee schedule is used to properly coordinate and facilitate the whole business operations. Without it, the whole association will be in chaos. Imagine a workplace with people loitering around and doing nothing but gossip. Then, imagine a group of people working in different areas all hands on deck. I would assume you will agree that the latter group is the more productive at the end of the day. When you have an employee schedule examples in PDF, everything will fall into place as you have planned it. It does not require superpowers or special abilities for you to create an employee schedule. You just need to use these steps below on how to make an effective one. Set your objective. Understand the reason why you are making an employee schedule. Bear in mind that what you are creating will serve as the employee’s guide to finish the given task. Use representational graphs. Make use of graphs to set the schedules. 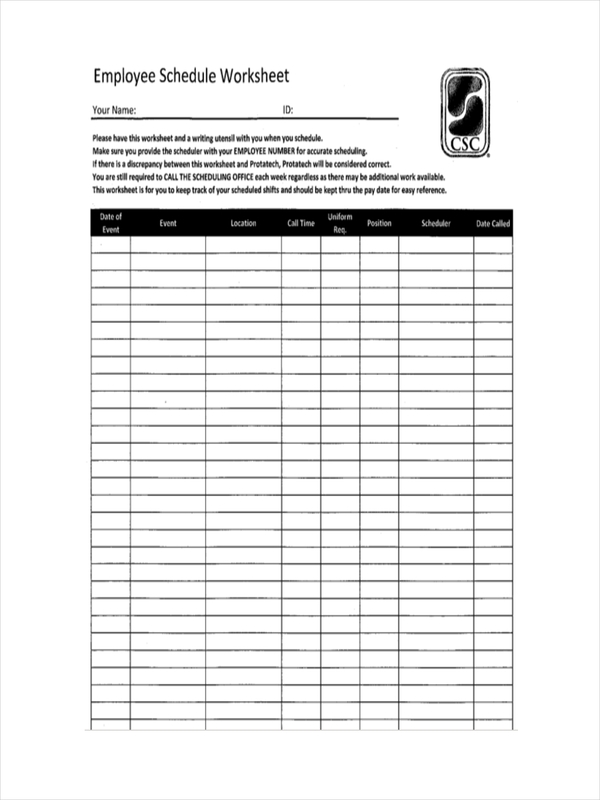 It is an effective way to help the employee know which job to do on which date. Design a format. Create a layout on how each detail should be placed. Make sure that the importance ones are visible at a glance.